November 2010 – Irene is very pleased to join Bean Group. Proctorsville, Vermont — July 15, 2004 – It’s a common complaint from buyers and sellers in the real estate market. The processes involved with searching for and selling a home takes too long. One reason is that many Realtors® are still conducting business just as they did 20-years ago… manually. Making the buying and selling processes more efficient and serving clients using the most advanced methods possible is exactly why agent Irene Gaffigan opened Farm Town Realty, one of the most high tech real estate agencies in Vermont. She did so, ironically, from a vintage 160-year old Proctorsville farmhouse. As an e-PRO Realtor®, a Certified Residential Specialist (CRS) (TM) and a Accedited Buyers Representative (ABR), Irene offers clients who are technologically savvy the means to use online transaction management, e-fax, virtual tours, and IDX-based search capabilities. For those who prefer to conduct business in a more traditional manner, Irene handles all the details in order to help clients buy or sell homes as quickly as possible. The use of technology means sellers who list with Irene will find their homes exposed to more qualified buyers through the use of Internet advertising, database listing, virtual tours, and online MLS inclusion. Buyers will be offered the convenience of receiving automated listings via email. These measures are in addition to the use of traditional print advertising and the forwarding of listings via fax and/or U.S. mail. With over 20 years real estate experience, Irene Gaffigan is not only available to assist buyers and sellers, but also the press with their needs. If you are a journalist seeking professional, qualified sources for real estate-related articles, please feel free to contact Irene directly for a quote. Born in Brooklyn, New York and raised on Long Island; Irene and her husband Jim moved to Middlesex County, NJ in the early 90’s. During their time in NJ they also fell in love with Vermont. After nine years of getting to know the area they bought a home and moved to Ludlow in November of 2002 where Irene has been a full time realtor opening her agency in 2004. In July of 2006 Farm Town Realty joined the United Country Family – becoming “United Country Farm Town Realty”. Upon Jim’s death in 2009, Irene moved to Proctorsville in the farmhouse that housed her office. as of November 2010, she joined Bean Group/Vermont. Irene is still very happily with Bean Group/Vermont and serves all of South Central Vermont. Irene brings with her a solid business background with computer expertise, positive attitude and the proven ability to work and communicate with people on all levels providing Irene with an unbeatable combination to satisfy all her customers’ real estate needs. 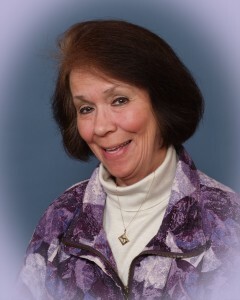 An NJAR Million Dollar Club award winner, 1997-2001 (Silver Level for 2000 & 2001), plus eight years experience specializing in residential properties, Irene G.’s personal attention and marketing savvy can get you from here to there – whether you’re buying or selling. Based on enthusiasm and unlimited energy, Irene’s keys to success begin with people skills – really listening to clients and customers to determine the most effective marketing plan. Adding a thorough knowledge of properties aided by the latest in computer technology, the search for prime prospects is customized – which means buyers and sellers are brought together in the most efficient and effective way.